Only 20s on Monday, climbing to almost 40 on Tuesday, around 50 Wednesday, and near 60 for Thursday and Friday. Brrr! This weekend will certainly be remembered as one of the coldest and snowiest of 2017. And thermometers are still reading frigid on this Monday morning, averaging in the single digits across the state. 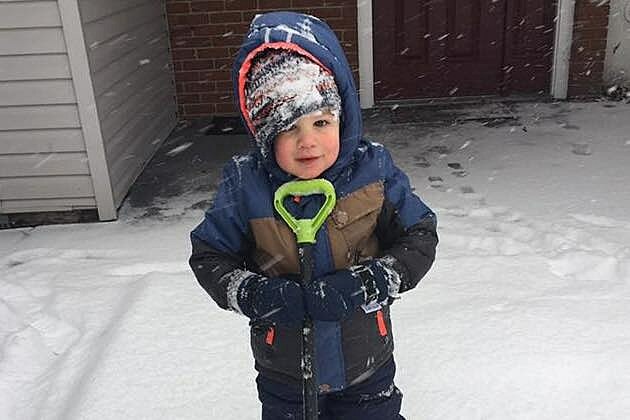 Because of the remaining snow and ice on roads and sidewalks, several school districts have opted for delayed openings and closings for Monday. (Mostly in South Jersey.) I suspect the bitter cold temperatures at the bus stop are responsible for the delays too. 1.) There's little to no wind, so we don't have to discuss a biting wind chill ("feels like" temperature). 2.) Temperatures are forecast to remain above record lows (1 at EWR, 4 at TTN, and -2 at ACY). 3.) A warmup is on the way! Monday's high temperatures will be limited to the mid 20s - maybe a degree or two warmer than Sunday, but still pretty brutal. The snowpack is contributing to our January chill, in addition to the pool of very cold air that has gripped almost the entire U.S. That pool will unhinge through the rest of the week, contributing to a slow warmup. Periods of sunshine will help snowmelt on Monday. Although the models don't show much, radar shows some snow shower activity diving through Ohio and western Pennsylvania. As that piece of atmospheric energy arrives in New Jersey around midday Monday, we'll see increased cloud cover (at least) and maybe a brief snow shower. Monday night looks quiet and very cold, with lows in the teens throughout the state. A shift to southerly winds on Tuesday (breezy, up to 20 mph) will kickstart our warming trend. Temperatures will climb above freezing for the first time since late last week, with forecast highs in the upper 30s to lower 40s. Skies will range from partly to mostly cloudy during the day. Tuesday night, another weak wave will brush past northern New Jersey. Showers will be possible from Tuesday afternoon through early Wednesday morning. And, with temperatures close to freezing in far North Jersey, I'm a bit concerned about light snow and ice accumulation. Again, for most of the state, temperatures will stay above 32 degrees Tuesday night - any icing should be limited to the area around Sussex/Warren/Morris counties. The January thaw continues Wednesday with highs near 50 degrees in South Jersey. Another slight chance of rain showers arrives early Thursday morning. Then Thursday turns into a pleasantly mild, partly sunny day with high temperatures bumping to about 55 to 60 degrees. Yes, I said 60 degrees! A big difference and welcome improvement from the bargain basement temperatures over the weekend. On Friday, showers lower 60s for the southern half of the state. Mostly cloudy skies will give way to another chance for rain showers, late-day. The early forecast for the upcoming weekend shows a chance for snow sometime from late Saturday night through Sunday midday. 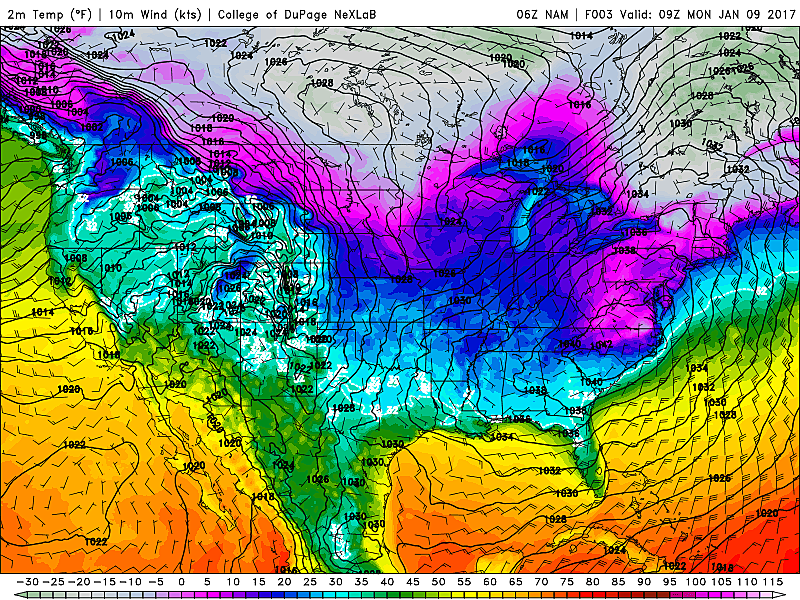 Lots of details yet to fall in line, especially temperatures. For now, I think we'll face a few inches worth of accumulating snow should in North Jersey - we will update that forecast as it evolves through the rest of the week.